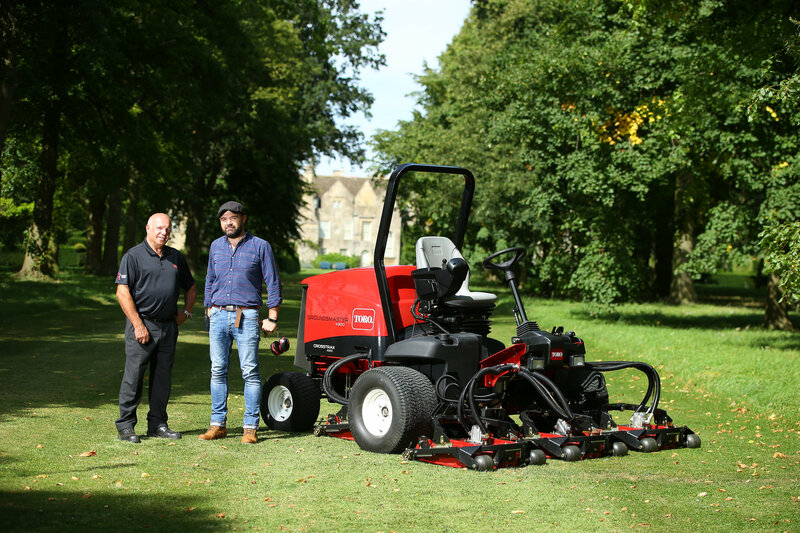 Toro Improves Condition And Appearance Of Turf At Grimsthorpe Castle: First time Toro customer, Grimsthorpe Castle in Lincolnshire, has purchased a Groundsmaster 4300-D rotary mower to tend the formal gardens. An improvement in the condition and appearance of the turf within the gardens of the 3000-acre estate is already evident. From Easter to September, the 65 acre gardens are open to the public and with footfall increasing so too are the horticultural standards. Jim Handley, head gardener, explains: “One of my main challenges after accepting the position at Grimsthorpe was to raise the horticultural standards of the gardens. Our expansive lawns are a major attraction for our visitors, especially those with young families, and it’s my responsibility to provide them with the best turf possible to enjoy their visit. 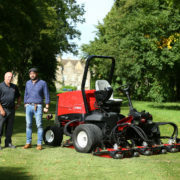 The GM4300-D is, says Reesink Turfcare’s Stewart Jeffs, incredibly productive with a mowing capacity of 5.4 acres an hour, but its lightweight design means less compaction. This is an especially important consideration for clay soil which is prone to compact. And we’re delighted to hear it’s in good time for the castle which for the first time will be opening in October half-term for visitors to enjoy.